"What a striking contrast between what we're doing in this city, and this neighborhood versus what's going on in Washington. Some people build walls. 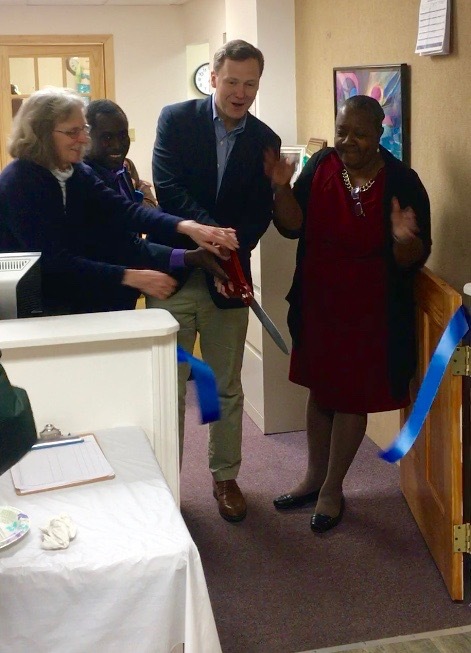 In this state and this community we embrace people," proclaimed Connecticut State Representative Matt Ritter at the Asylum Hill Multicultural Resource Corner ribbon cutting ceremony on January 26, 2017. Ritter's comments captured the spirit behind the Asylum Hill Neighborhood Association (AHNA) Welcoming Committee's determined drive to establish a community resource to welcome and support all Asylum Hill residents, with a specific focus on new arrival immigrant and refugee families. "The opening of the Resource Corner marks an important occasion for all neighborhood residents seeking information and assistance. 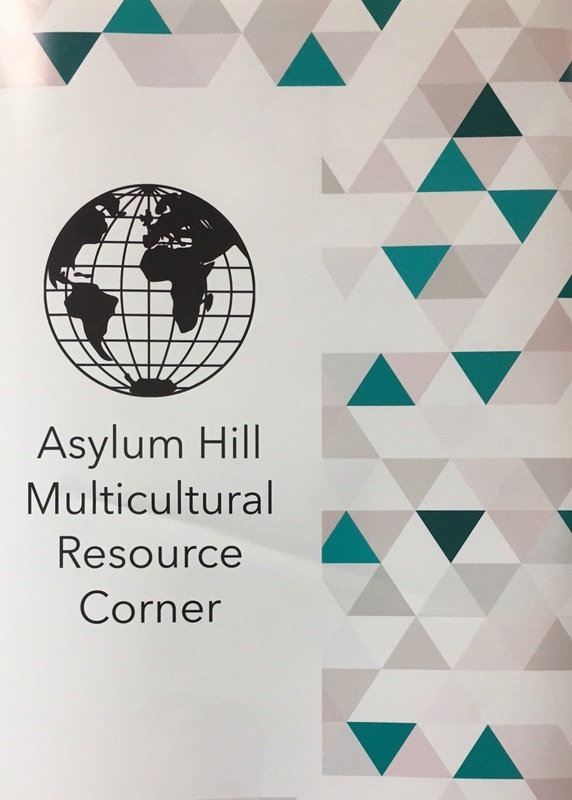 By launching the Resource Corner, the Welcoming Committee has taken an important step toward establishing a multicultural center in Asylum Hill," said Jennifer Cassidy, Asylum Hill community leader and Multicultural Center Steering Committee chair. Located at 60 Gillett Street in Hartford, the Resource Corner represents a true community collaboration between AHNA, the Library, Catholic Charities' Asylum Hill Family Center, and the UConn Graduate School of Social Work. In the summer of 2013, the Welcoming Committee was established through the combined efforts of AHNA and the Hartford Public Library to address the pressing need "to reach out to and welcome new arrival immigrant and refugee families living in Asylum Hill -- many of whom initially experience culture shock and feelings of isolation," according to Nancy Caddigan, Hartford Public Library's Intercultural Liaison, and Welcoming Committee chair. "This is vital because at least 30% of the Asylum Hill resident population is made up of immigrants and refugees hailing from such countries of origin as Nepal, Togo, Peru, Sri Lanka, the Ivory Coast, Iraq, the Republic of Congo, Burma, Somalia and Ethiopia." Caddigan further explained "One of the major unmet needs identified at early Welcoming Committee sponsored community activities and meetings was a lack of a designated meeting space for residents of Asylum Hill to come together to share and participate in civic, social, and cultural activities that would strengthen connections between neighbors, and make those new to the neighborhood feel welcome." welcome Roger Rugina, James Rugina, and Benedict Muliro from the Democratic Republic of Congo, and Benjamin Simpini from Togo. In an immediate effort to more specifically identify Committee priorities, the Library sought and received a grant from the national organization Welcoming America. The grant proved invaluable. It provided the opportunity to conduct a total of seven critical focus groups in fall 2014 in which almost 200 Asylum Hill residents and stakeholders participated, aided by interpreters. Participants shared their suggestions and ideas of what they envisioned taking place in a multicultural center which included such things as community meetings, weddings and celebrations, ethnic cooking classes, foreign language instruction, and student tutoring, as well as a resource center for referrals to essential health, housing, legal and employment services. 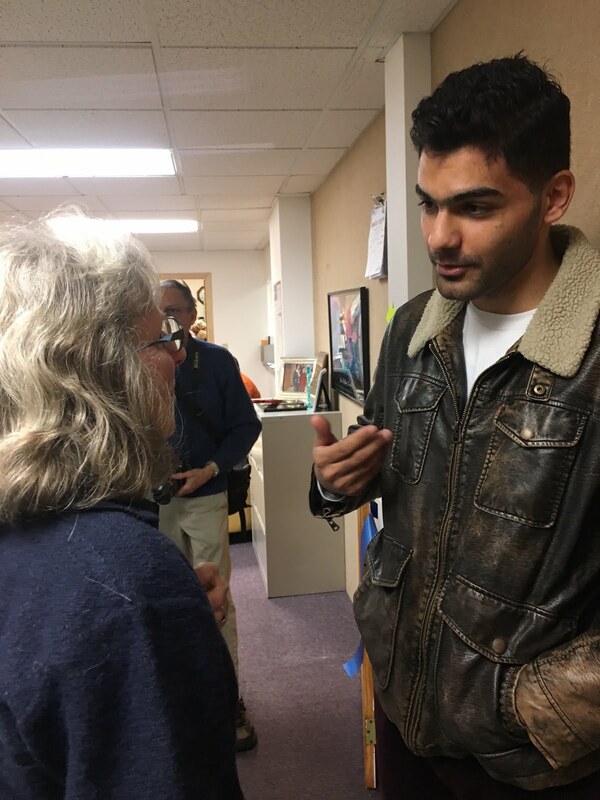 Recognizing that significant funding and sponsorship would be required to establish a full-scale multicultural center, the committee set its sights on addressing the immediate needs of new arrivals. The idea of establishing a small resource facility to provide much needed support and referral services to assist families in acculturating to their new community germinated quickly. The immediate objective would be to ease families' struggles in getting their basic health, education and human services needs met. The agreed first step would be to pursue setting up a Multicultural Resource Corner staffed by an intern and volunteers from the Welcoming Committee. Soon the UConn Graduate School of Social Work, and Catholic Charities joined the effort as enthusiastic partners to make the Corner a reality. The School of Social Work jumped at the opportunity when approached by Cassidy with the idea for a hands-on internship to help at the Resource Corner. Graduate student Liz Gustafson came on board immediately. Next, Cassidy and Welcoming Committee member Georges Annan-Kingsley scoured the neighborhood for another partner with a suitable location to house the Resource Corner. A willing and generous champion shortly emerged in Moureen Bish, director of Catholic Charities' Asylum Hill Family Center. Bish took the idea to her corporate leadership who fully embraced the proposal. The Family Center's location in the heart of Asylum Hill at 60 Gillett Street was an ideal fit. 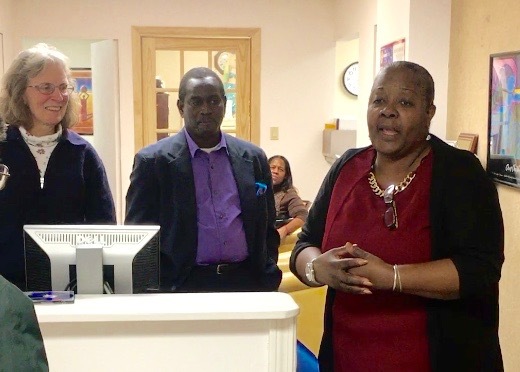 At the Resource Corner dedication, Bish expressed a warm welcome to the AHNA initiative. 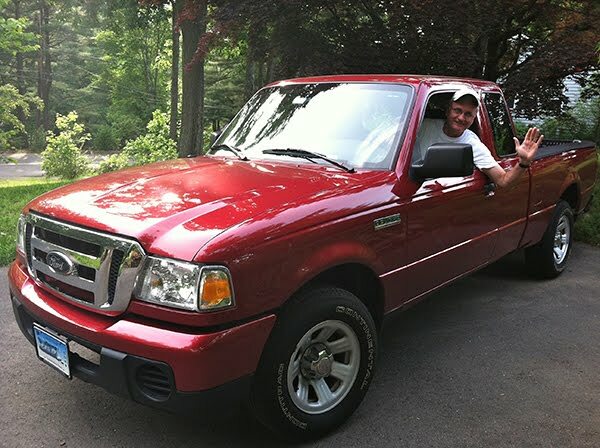 "We are happy to have you. 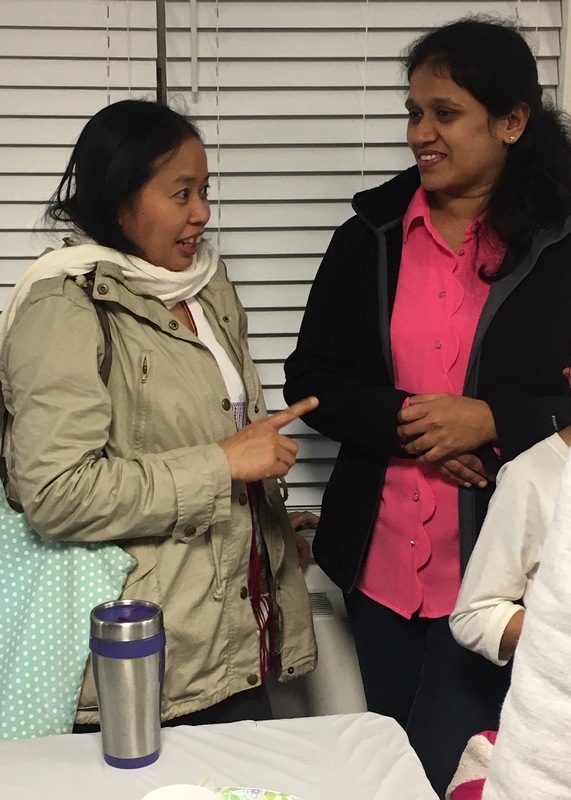 What we do here [at the Family Center] is work with families, enrich families' lives, and strengthen families; so to be able to provide this [additional] service to the newest families in the neighborhood, we are super, super happy." Bish continued saying she was "pleased with the effort that's gone into making this a reality. Our multiplicity of Family Center services are open to the Multicultural Resource Corner -- all our services are at their disposal." 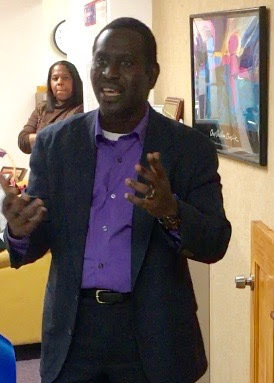 Welcoming Committee member and Asylum Hill resident Georges Annan-Kingsley (a medical refugee from Côte d'Ivoire) spoke about the long-term need for a full fledged multicultural center. "When I came here, alone at first without my family, this neighborhood became my family. 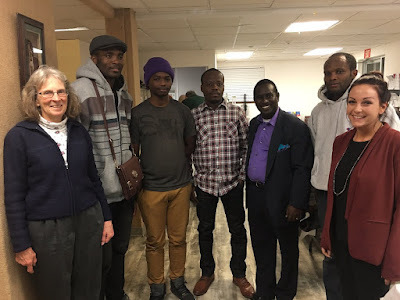 Through the work of the Welcoming Committee, we found out it [would be] good if we can have a place where those people coming from some place else can meet together as a family and keep [their] culture. This is what the framework is for creating a multicultural center where people can preserve and share their culture, and be proud of their culture -- and broaden American culture." With the launch of the Multicultural Resource Corner, the Asylum Hill Neighborhood Associations' Welcoming Committee has taken the vital first step toward its longterm goal of establishing a multicultural center open to all residents. Right now the focus is rightly where it should be -- providing residents with a guiding hand toward critical basic health, education and human services needed to succeed.